How Serious Is Russia’s Offer to Mediate in Yemen? Russian Foreign Minister Sergey Lavrov welcomes Yemeni Foreign Minister Abdul-malik al-Mekhlafi for talks in Moscow, Russia, Jan. 22, 2018 (AP photo by Pavel Golovkin). In late January, Yemen’s foreign minister, Abdul-malik al-Mekhlafi, traveled to Moscow where he met with his Russian counterpart, Sergey Lavrov. 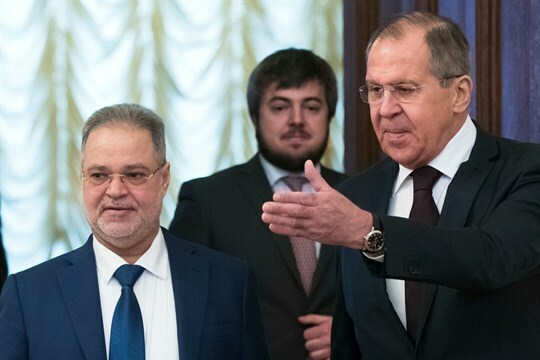 As they discussed the implementation of an elusive peace settlement in Yemen, Lavrov emphasized Russia’s willingness to mediate between rival Yemeni factions.